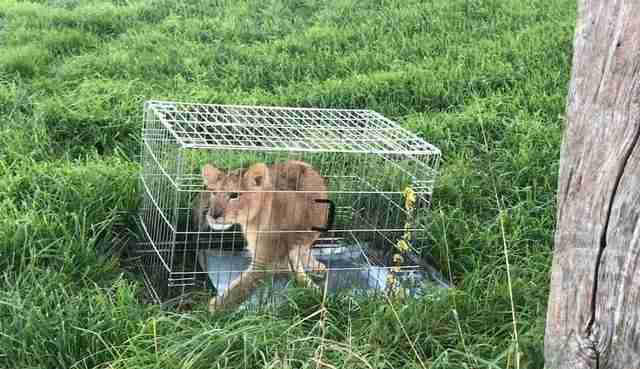 On Sunday, a man was jogging through a field near Utrecht, in the Netherlands, when he found something bizarre — sitting in the grass was a metal dog cage, and inside the cage was a tiny lion cub. The jogger immediately got in touch with local police, and officers and a vet hurried to the scene. 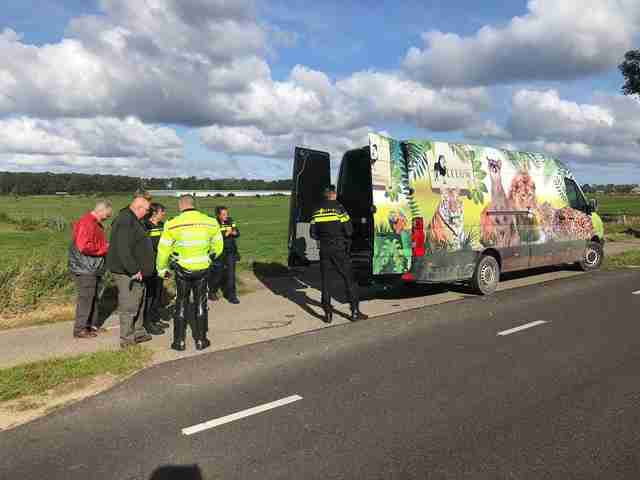 Then the police got in touch with Stichting Leeuw, a local sanctuary for rescued big cats, which came to pick up the lion. 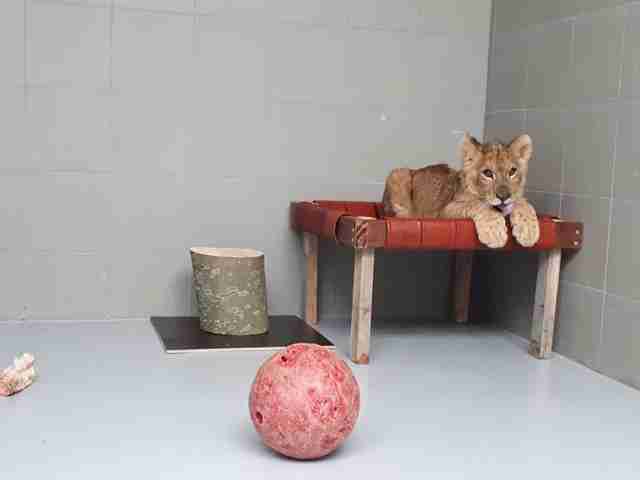 The cub, who’s about 5 months old, seemed accustomed to people, according to Daphne Pels, a keeper at Stichting Leeuw. 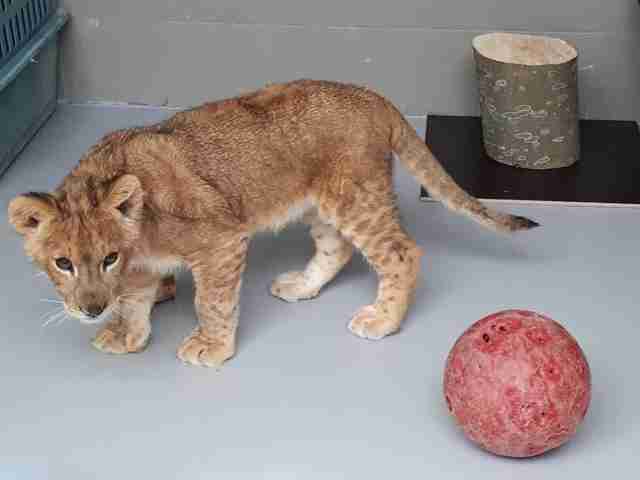 But this is just speculation, and no one is completely certain where the lion cub came from. The cub seemed pretty distressed to be in the small cage, and he’d scratched his nose trying to find a way out, Pels said. 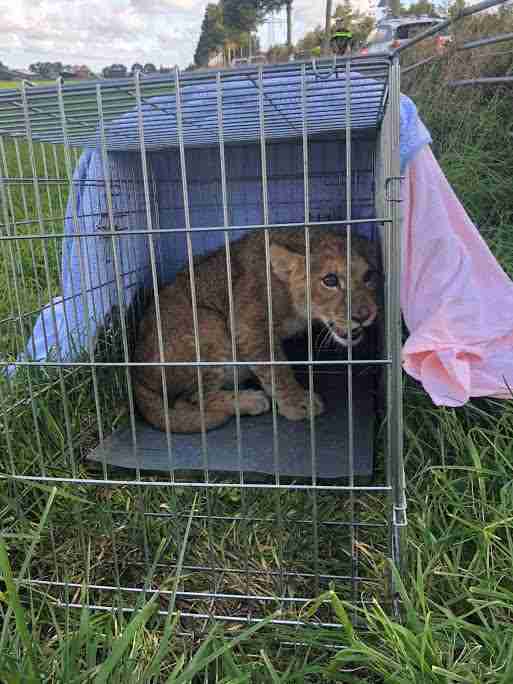 Despite the cub’s frustrated state, the rescue team managed to safely transfer him to the sanctuary without sedation, which could have been dangerous if the cub had an underlying medical condition. 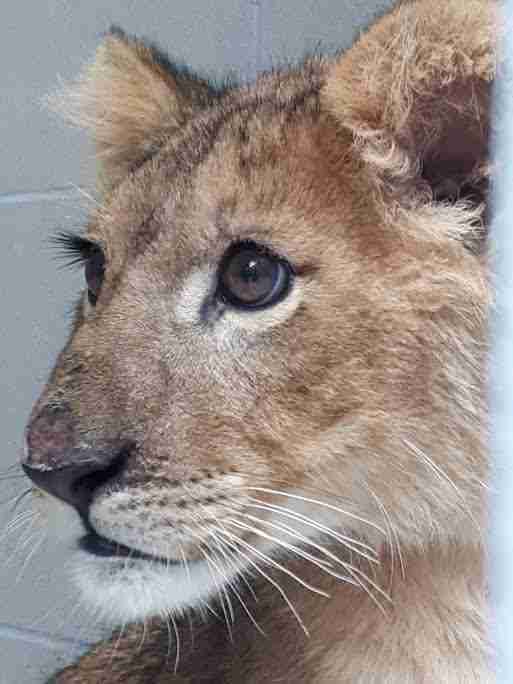 Once there, he was given a basic medical check, as well as food and water, and placed in a comfortable enclosure. He’s settling in nicely, according to Pels. Unfortunately, the cub will never be able to be released into the wild, since he was probably captively bred and raised. On Wednesday, a vet will visit Stichting Leeuw to give the cub a full medical assessment, which will help the team figure out the best plan for the cub’s future. It’s possible he’ll be able to go to a larger sanctuary in South Africa once he’s bigger and stronger, Pels said. 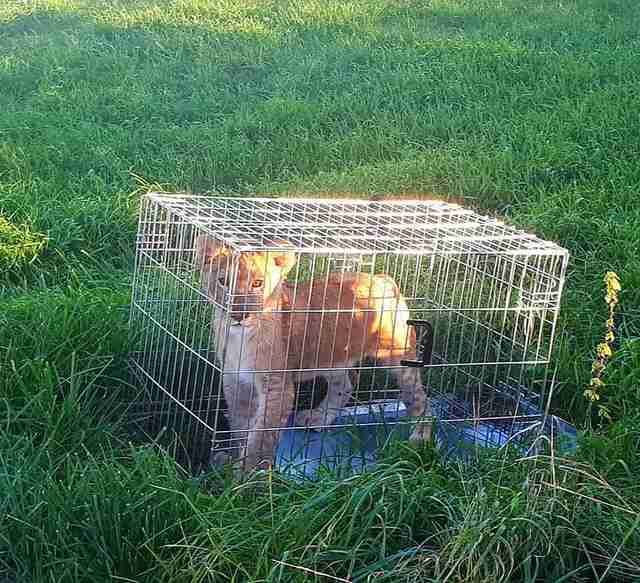 If you have any information about the abandonment of this lion cub, you can contact the local police department, Politie Stichtse Vecht. You can also help care for the cub at Stichting Leeuw by making a donation to the foundation.